Our Products contain 100% Industrial Organic Hemp Oil! 3 Gluten Free coconut chocolate chip cookie with 30 mg of CBD oil. 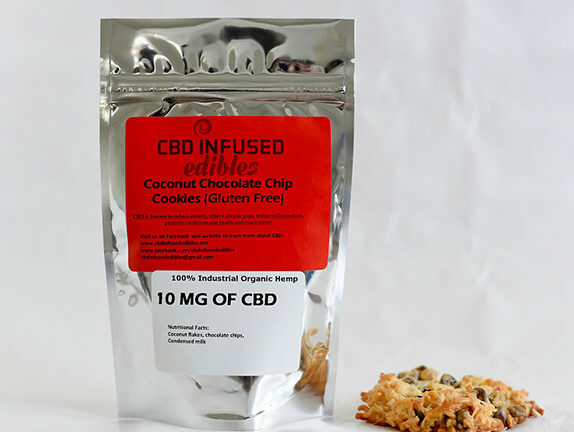 3 Gluten Free coconut chocolate chip cookie with 60 mg of CBD oil. No reviews have been submitted yet. Please register and/or login to be the first to review this product!